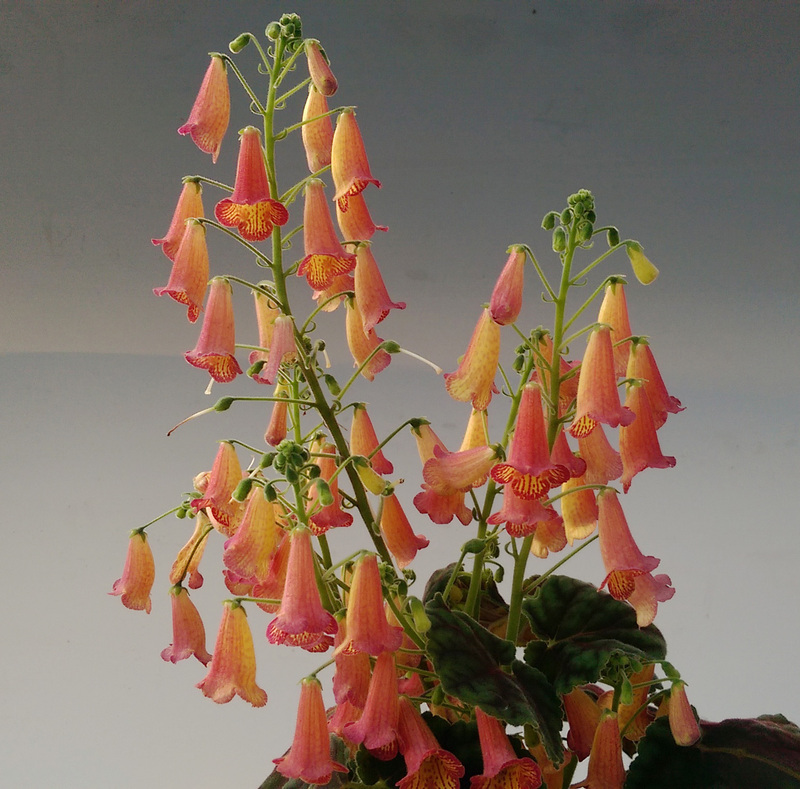 Thanks to Mr. HCY for his great growing skill and make this plant bloom heavily. "Designer's Jingle Bells" is an unusual compact/dwarf Smithiantha that is great for planting rack under artificial lights. For more plant details, please refer to Smithiantha "Designer's Jingle Bells"